Christening is making a child Christ’s, or making them a Christian, and a member of the Christian community, the church. 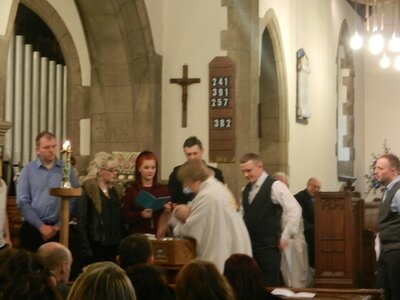 The alternative name, baptism, refers to the cleansing or washing of the water. This is a serious and joyful choice for parents and Godparents to make for a child and we wish to help you prepare so that, on the day, you are happy with the commitment which you are making. You need to know about the Christian community if you are to commit yourselves to being part of it so we ask that you bring children under eighteen months to a service of Thanksgiving as above. If your child is older, or an adult wishes to be baptised, we will discuss with you which services will be the most suitable to start attending. 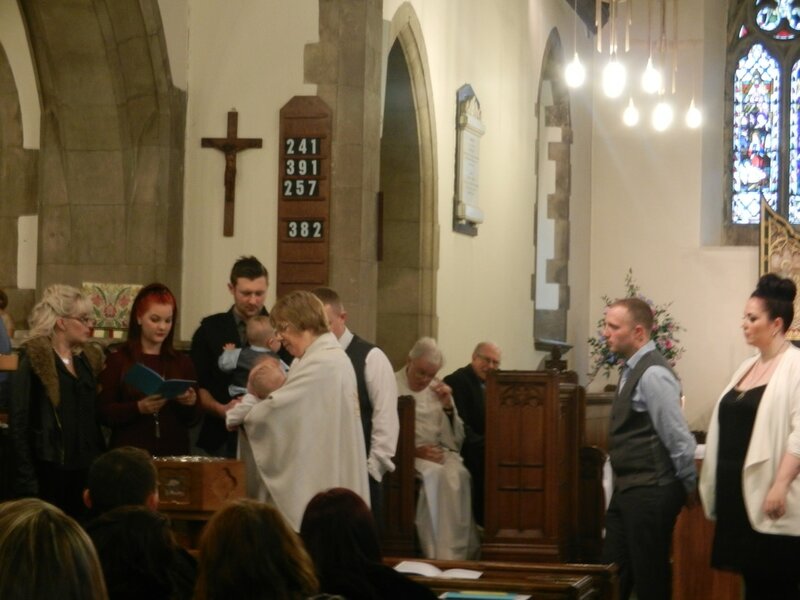 Parents will be invited to a preparation evening to learn what Christening involves; you are welcome to bring with you people whom you hope will be Godparents. 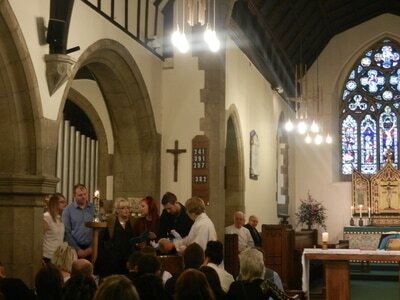 After you have attended both a service and preparation, you will be able to book a baptism for your child. These normally take place on Sundays at 10am. May my child be baptised if I or my partner has not been? – Yes, but if you want this for your child, wouldn’t you like to be baptised yourself? 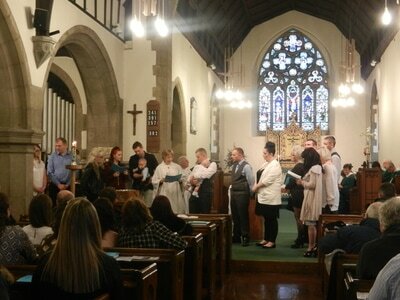 You would need to start coming to church regularly and to attend a course of preparation which is run annually. Please talk to us about what is involved. Who may be a Godparent? – We ask that Godparents are adults and they must have been baptised themselves. How many Godparents may my child have? – Traditionally, a child has three Godparents, two of the same gender and one of the opposite gender, but they may have as many as you like as long as they have at least two, one of each gender. One Godparent may be one of the child’s parents. What is the fee for baptism? There is no fee but should you wish to make a donation we shall appreciate it. Gift Aid envelopes are available on the day. To book Thanksgiving and baptism preparation, please contact the Administrator 01909 518777 or come to St Leonard’s church on the first Wednesday of the month between 6.00 and 7.00pm.